The Gallipolis Chapter of Ohio Eastern Star purchased and donated 130 hams for the holiday season. 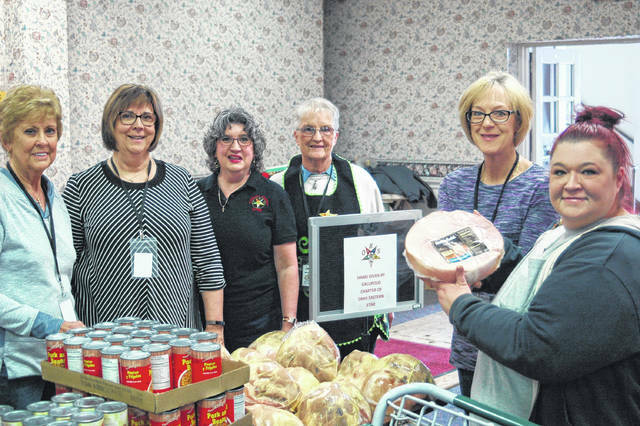 They were given out Tuesday as part of the Lutheran Social Services Food Truck at Grace United Methodist Church, which assists families throughout Gallia County. This was the first year donating hams, a tradition they hope to continue. From left: Jeanie Howell, Margi Wheeler, Gwen McGuire, Jean Henderson, and Marlene Childers.